The main body ECU is actually the white box under the dash with the fuse panel mounted to the bottom of it. Anyone know which of those wires is switched / ignition power? I tried the other red one, (the red one that's not labeled), but it's not working. The red one that's hidden on the end of the second row is definitely ignition switched +12 volts. 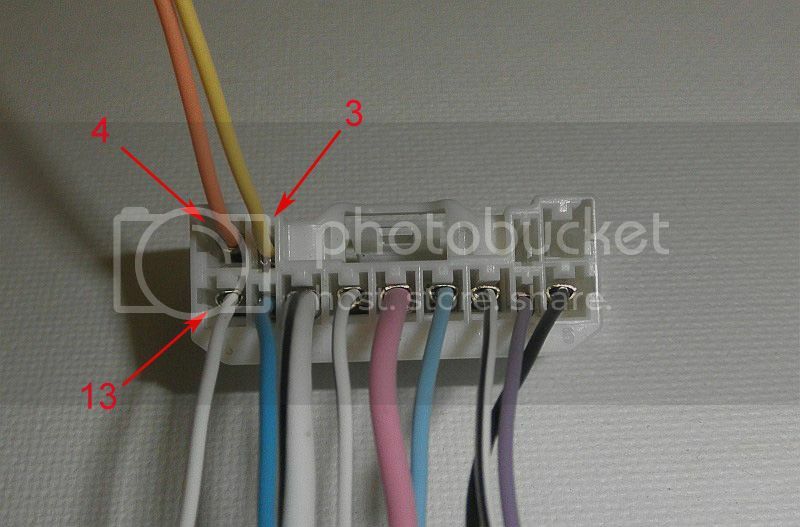 Make sure you have a good ground that you are referencing it to, or use the white wire with the black stripe on that connector as your ground. On the headlight stalk connector (remove the bottom steering column cover to get to it), Pin #13 is the switched wire for the taillights (which turns on with with both the high and low beams). 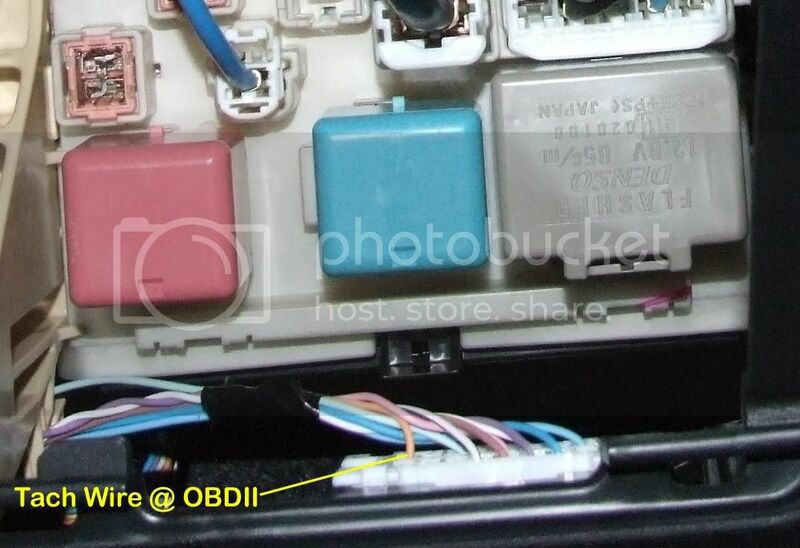 If the car has daytime running lights (or is 2009 or newer), then pin 13 is a ground, switched by the headlight switch (so, you would use pin 13 as your LED ground and would connect the +12 wire for the LEDs to a 12 volt source). 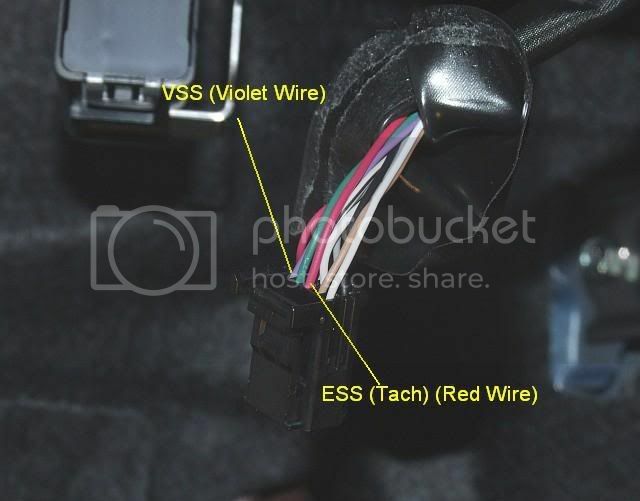 If the car is 2008 or older and does not have DRLs, then Pin #13 is not a switched ground, but instead is a +12V feed which is switched at Pin 10 (the wire to the left of the Pink one) (which will be green instead of white with a black strip). So, on this vintage, you would connect the + wire for the LEDs to the green wire in pin 10 and the - wire of the LEDs to a chassis ground. I accidentally starting messing with these wireds to see if any were for the headlights (i was trying to install interior led lights) and all of my dashboard lights are now going off like crazy (airbag, check engine, battery, sliding, etc), the a/c and heater doesn't work, the turns signals don't work if i step on the brake, and it no longer indicates what gear i'm in. I really messed up, but I would like to know if anyone has had this issue or knows a solution or what's going on. Check the Dome and ETCS fuses in the under hood fuse panel. Hopefully you popped one of those and didn't cook the ECM. The DLC3 connector is purely for diagnostics. There is a constant power wire on the connector for powering a diagnostic tool, but other than that no pin on that connector should ever be connected to a load. I had the car checked by local Car Audio Workshop and they technician guy looked at the wiring and said that these are okay. What else could be the problem? where is the reverse light wire? and what is the colour? What year is your Yaris and was it built in Japan or France? Can any one help the abt the chip on the pic coloured red and blue. what is there function?Be cause one of them getting hot. What actually they do? and also the function of the fuse? How do i know whether they functioning or not. They are relays. The left one is the IG1 relay and the right one is the HTR relay. The left one gets warm when the ignition is on and the right gets warm when the blower is running. That is normal. The fuse above it to the left is for the power windows and the one above it to the right is for the defogger. Where is this whole piece as seen in post 14? I want to wire some door sills and have them light up when the door opens up. I usually keep the light in the off position and not on the "door" position. So if I want it to work the way I want it to, am I going to have to keep the switch on "door"? This might be the wrong thread but I was redirected by Scott on another thread. Thanks! Behind the little storage cup on the bottom left side of the dash. And where can I tap into the parking lights? The lights that turn on when you twist the switch half way. I am also installing some LEDs for the interior and I want them to turn on w/ the parking lights. And do any of you recommend the "L bars" or just regular LED clusters? I want them to go under the whole dash kind of where your feet go.